I’ve figured out a name for what I do. It’s Full Stack Systems. It’s important to have a name for things, so we can notice them, and can choose to notice them. I’ve borrowed Full Stack from the IT term Full Stack Developer, meaning someone with the skills to program back end and front end systems, and who understands the full delivery model of their work. Full Stack Systems Thinking looks at the connections between things as much as the things themselves. It looks at patterns, emergence, interconnectedness and other systemic stuff. I’m not the only person doing this, and others already have names for their work. Full Stack works for me. Full Stack Work is a type of generalist. It’s important to say it’s not better than any sort of speciality. In a given situation it may be more or less appropriate than a specialist approach. Full Stack Work is slow to learn, it moves on wide front, and it’s always less deep, but more connected. This may be what you need and it’s what I do. I’m recognising others, specialists and generalists who are along for this ride. Connect on twitter. This entry was posted in Other Stuff on March 23, 2019 by make10louder. Before we begin, I prefer to be interesting to being correct. It’s a sort of anti fragility, yeah? Anti Fragility is the property of things that become stronger with disturbances that could be expected to do damage, be absorbed or shrugged off. Example would be a rock, a china cup and a muscle. Rocks just absorb stress, muscles get stronger with the right amount of stress, nothing good comes from stressing a china cup. Humans have a lot of anti fragile properties. 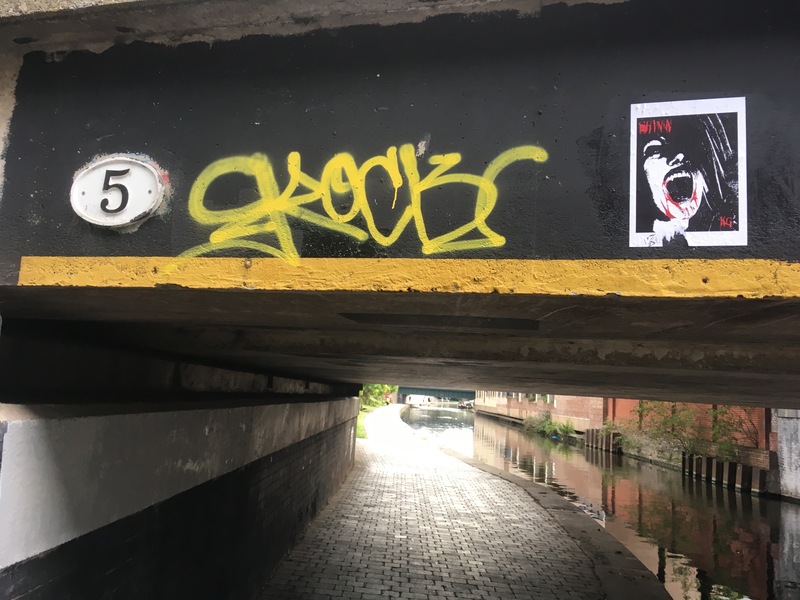 Just through living we’re crawling up the ramp against entropy – and while a broken bone won’t repair itself to be stronger than before, certain types of activity that would create wear on a machine, creates growth in us. Humans are not machines. So in general bad stuff happens and we either end up worse, not bovvered, or we get stronger after getting weaker. There are activities and exchanges that are created by others to grind us down, things that just seem to align to grind us down, and the person who gives you a break, pointing the way to success out of a defeat. Can we choose to engage in activities where we’re likely have the opportunity to learn from a potentially damaging failure? I had expected to write about all the things you could choose to do to be anti fragile. Lots of articles link being anti-fragile to being safe to fail – but it’s a lot more than that. To be anti fragile, you first need to be fragile. This hurts, it may not be fun, torn muscles, failed plans, stuff you don’t necessarily want for an easy life. Our brains will run acrobatics to make sure we’re the hero in our story, to make sure that we’re consistent, and it’s not us who needs to learn. After starting a list of “things to do to be anti fragile” I realised the things on it were not really anti fragile. They seemed to be repeating the mistake of thinking anti fragile is just not putting all your eggs in one basket. Safe for things to fail, as long as one thing works. Like having a diverse portfolio, hedging your bets or just making sure you’re robust to total failure and using any excess resources to try to hit success. Anti fragility need fragility first. For exercise, running a marathon can kill you, and usually makes you really hurt. Lifting weights badly can permanently damage you. But exercise is also addictive, and done in moderation helps us become stronger, and take some small wins from entropy. Exercise is probably the most popular anti-fragile activity humans engage in. We don’t even need to know this to exercise. We intuitively know we get better at running by running. And we get exercise happy drugs produced in our brain. But mental anti fragility is not the same. We really don’t like being shown how we’re wrong. We get “mental anti fragility feel bad drugs” instead that kick in enabling mental acrobatics of the “I’m not wrong, they’re wrong” type. I wrote about “double loop learning” this time last year. Double loop learning is sometimes used to mean needing to figure out a new way of doing something. I think it’s more than that. It’s realising that your current knowledge is wrong, and is responsible for the problems you have. Anti fragility is getting out of this bind. The paragraphs below show how opportunities to be anti fragile could show up. Opportunities to be mentally anti fragile don’t have to be taken. They are unlikely to be the easy option. Here are the lists I’ve made. You don’t know why you succeeded. You dare not change. Asking “how do you do that weird thing when you take penalties” to someone just before they step up to take a penalty. So anti-fragility comes after these things, and because of these things. Anti-fragility means using what has harmed you to make you stronger. What might that look like? Learning to recognise hooks onto drama is interesting to me. Hooks onto drama are those conversations where escalations away from where understanding or learning is likely to occur. Tell me a time when you have to solve a complicated problem? So, whose fault was that? And you start to blame and persecute, because someones asked whose fault it was, and it would be rude not to continue the conversation in their chosen direction. Like hooks onto drama need someone else to wield the hook. Someone needs to do the mental heavy lifting to give you the opportunity to learn from fragility. What would an “anti fragile you” look like? Who hooks you into drama? What has to happen to make an “anti fragile you” happen? This post was helped along by conversations and workshops at Northern Taste of Clean 2018 and Reimagine Work 2018. Thanks to everyone. This entry was posted in Other Stuff on December 27, 2018 by make10louder. The innovation should be right about here. The world is changing fast, and some of the organisations doing the changing have insights that the rest don’t. Visualisation of information allows people to point at a model outside of their head, ask better questions and make better decisions. Wardley Maps are a great way to visualise what happens to provide value to someone in a way that makes for better questioning about why. This post is about the kind of questions that we may like to ask to create the change. I’m releasing v1 of this post. If you spot any typos or missing words let me know in the comments please. I’m using Simon Wardley’s “Wardley Maps”. We show at how a user need is met through a value chain on the y-axis. We use the x axis to show how we source the components in the value chain, from the left to right. 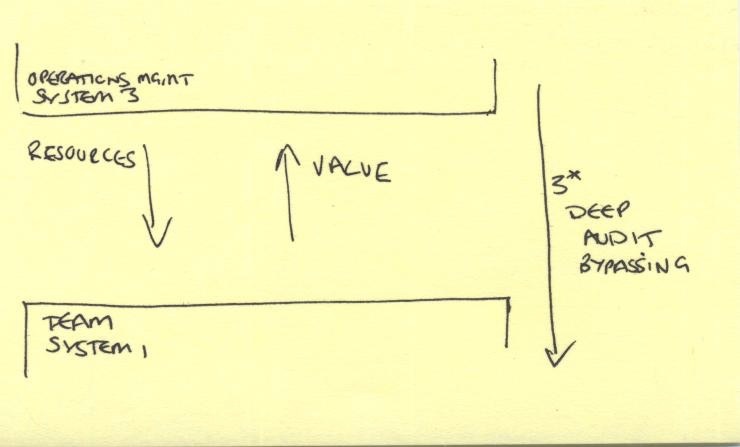 An example map from Simon Wardley is below. There are two Users, and the need A also requires other elements. From this map we can see that we choose to build the things in Red, we buy or rent the things in blue, and the things in green are commodities. Over time the way we meet user needs moves to the right. In the map below the way to build a website has moved through these domains. For simplicity, I’ve not added elements further down the chain, and the y-axis is far less important than the x-axis here. Once you can see where you are sourcing all of the parts of the value chain from you can ask “Does it still make sense to build or buy the thing here?”. In the above example, you may have employed a Computer Science graduate in the 90’s to write HTML code, until you could buy a product to do that for you, and pay less to employ a Web Designer. Those who wrote code by hand claimed to write faster and better sites, but eventually, they needed to get jobs elsewhere. Similarly, in 2018 people with Web Development Package Skills are replaced by DIY efforts currently on Square Space or Wix. This movement over time is a central part of Wardley Maps. Over time the above map follows Gartner’s hype cycle. New things get invented, they need some work to build products that people are happy using, and then if they cross the chasm more industrialised efficient products and services emerge. The products and services meet a user need that is used to anchor the map. Everything that is successful, that once made sense to build yourself, becomes a product. While there are various strategic to stop things being taken and improved by others, successful companies will need to alter the things they build in-house if they want to compete with companies that arrive later. In this case, Amazon disrupted its book business with e-readers, and Costa Coffee produce drinks from an automated machine in many petrol stations, with little of the Costa experience. Wardley maps anchor on User Needs. These differ depending on the persona. For example, for a children’s party you can source a totally different value chain depending on the type of party you want and can pay for. In this Map you can see the high-level requirements for cake, entertainment and location. You can source the items for your party from anywhere, but you’re unlikely to have a unique party with a cake from Sainsbury’s, or at an established children’s party venue. There is a market for everything in the map, and the provisions move to the right. For example, you could invent and build your own one-off children’s party Escape Room. If it’s a potentially profitable idea then there will be some artisan companies making them commercially. Then bigger entertainment companies may start to make brand name cookie-cutter offerings. These will be cheaper, and meet a need, but not the same need as the artisan ones. If your need is ‘A party like no other’ you’ve moved on. As companies develop their product they find ways to build thing more efficiently. Incumbent suppliers, who have not needed to look for efficiencies are prone to be disrupted by “Digital” companies who are able to take the element of the value chain and move them to the right (or remove the requirement altogether) using innovative IT, Cloud Computing and Lean Thinking. Canonical examples of disruption are Kodak, Retail and Blockbuster, but Banking and Education are also targets. Anywhere where the reason for sourcing part of the value chain is “we’ve always done it like that” is potentially disruptable. I didn’t know I liked that bit! It’s worth mentioning that the new way of meeting a User Need will be different from the old. There may be things that customers appreciate that they may not realise at the time of disruption. Educated online by a MOOC – But I liked moving away to University and creating deep lifelong friendships, and going out every night. I like books – I’m not even buying a kindle…. So there is life after industrialisation for certain artisan pursuits. You can still buy axes to chop wood and hipsters will press your coffee through an Aeropress by hand. User needs are also created – feeding our impulsive monkey brain, our need to belong to a tribe or to feel good about ourselves etc. Most strategic play, however, is based on cost. But it doesn’t need to be. Also creating the user needs is part of Strategy not on the map, people don’t just want a new thing for no reason. There are techniques to not be disrupted. These include patenting your ideas, creating a strong brand and talking down your competition. Linux is cancer by Steve Balmer was an attempt to stop Linux moving operating systems to the right and commoditising them. Many other methods to stop operating systems being commoditised had been tried by Microsoft and failed. Sometimes, providing an experience by doing some things way more inefficiently than they need to be done provides the user with what they (now) need – Bespoke Apple Stores, for example, make the Apple experience harder to disrupt. Another example is retooling your factories with people instead of robots so you can sell bespoke customisations to your customers that your competitors cannot offer. Your competitors are too industrialised with robots to compete. See my post about Mercedes proposing to replace robots with people. They are keeping their product in the profitable centre of the map. What part of the x-axis are you good at? There are different approaches, skills, mindsets, vocabularies and metaphors in use at each part of the x-axis from building something unique to managing a rental product or commodity. The team above are amazing at making whatever it is you’re doing super efficient. Even the one getting a different perspective is not seeing things very differently. On the other hand, this bunch below is totally going to reinvent how you do everything. It may not be be pretty or efficient, but it’s going to be different. Reinventing the world. Photo via Popular meme. If your company and staff are great at industrialisation and six sigma improvements you need to be looking for opportunities to disrupt incumbent companies who have created a market where small improvements can be profitable due to volume. Nations sell themselves as great places for this sort of work. Maybe your company takes good ideas that are just catching on and drives the move to a product with a great user experience and support. This is a different set of competencies. New products and ideas must also come from somewhere. Big companies are not the place for having brand new ideas. Wardley Maps show the climatic pattern of value moving right and becoming industrialised. But how do things appear on the left? Cynefin gives us a clue. We can potentially create ideas by removing constraints to move slightly into the chaos domain, and benefit from potentially different ways of doing things. A constraint you can remove is the need to immediately be profitable. Ideas from the Garage or Basement by a part-time entrepreneur fit here . At research-based Universities, time and facilities for Academics to experiment in a safe to fail environment helps with new ideas. Cynefin requires at least one of the experiments to be naive. This happens when a chemist applies their heuristics to a physics problem. Cross disciple research groups provide this opportunity. This can be shown equally well with a Wardley Map or with Cynefin Dynamics. They show different perspectives and have different perspectives. Below is a Wardley Map with the needs of Academics to publish papers, and the needs of an external organisation whose conpetencies include marketing and manufacturing innovative products. The need for immediate profit is one of the constraints that is removed to take advantage of ideas from chaos. New developments are either written up and published as papers, meeting the Academics need to produce visible output. If suitable the ideas may be patented before publishing. If the patent has an obvious application then companies requiring an innovative edge may licence the technology. The University spends the proceeds on more research and bureaucracy. If the idea can’t be licensed, a Spin Out company may be created to develop a product up until the company can be sold. A University has no interest in developing and marketing a product, and the improvements in production required to meet pricing and all the other things required. They sell the company and get back to the area of the Wardley Map they are good at. This bog only shows only one pattern on the map. For more patterns and strategies see Simon Wardley’s book on medium. Wardley Maps are a great visualisation that work well looking at how we add value personally with our skills, with the products our employer sells, and how our sector of industry is performing. They form part of a set of visualisations looking at the entire value chain from what people do, all the way up. The world is getting disrupted at an astonishing rate, and mapping helps us to see what the future may hold. Using maps we can discuss the sourcing of parts of the value chain, the approaches from agile to six sigma that may be used to deliver those parts. The culture of the organisation that are likely to excel in these domains can also be discussed. Finally, strategic patterns can be overlaid on the maps to discuss how to act in the future. There are ideas in this post from Wardley Mapping, Cynefin, VSM, and loads of other approaches. Cynefin is a trademark of Cognitive Edge. This entry was posted in Other Stuff on October 30, 2018 by make10louder. This article will look at Scrum through the lens of a Systems Thinking approach called the Viable Systems Model. 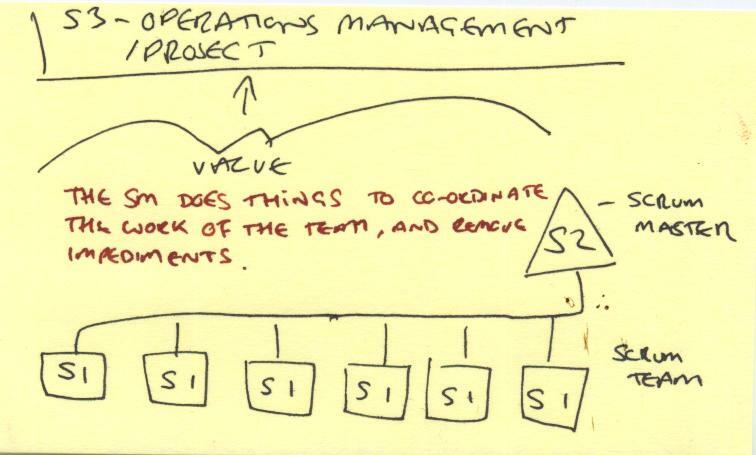 Applied to organisation, the Viable Systems Model often feels like well thought out common sense, so the things VSM says may not be a surprise. What may be a surprise is the diagnostic power the VSM has both within and outside the Scrum team . This power makes the learning curve of the VSM worthwhile. I’ll start looking at a Scrum team as a viable system and follow up this post with a discussion of the members of the Scrum team as viable systems. Finally in a 3rd post I’ll analyse various IT situations I’ve seen using the same tool. This should show the power of the VSM, and the range of situation it can be used in. All this analysis is released under a Creative Commons License. It would be great to get feedback from both a VSM and Scrum perspective, more examples, and build up a resource. It’s worth noting here that application of Systems Thinking is always contextual. If you have a different context to me we’ll not have the same analysis. I’ll be treating this as a learning opportunity, rather than a quest for an uber-analysis that can can applied in any context. (hint: the Uber-analysis doesn’t exist). I’m assuming you know Scrum and this article is an introduction to the Viable Systems Model, but it should work the other way. I’ll also show how the VSM can be used to diagnose issues with teams and IT in general, It’s a useful aid for Scrum Masters or Agile Coaches when things aren’t quite working. In fact, an Agile Coach, armed with the VSM and a couple of other people systems tools would be pretty formidable. This power comes from the ability to name things that may be missing and we’d like to improve. Having a name for things is vital if we want to talk to other people about them. The VSM helps us do this. 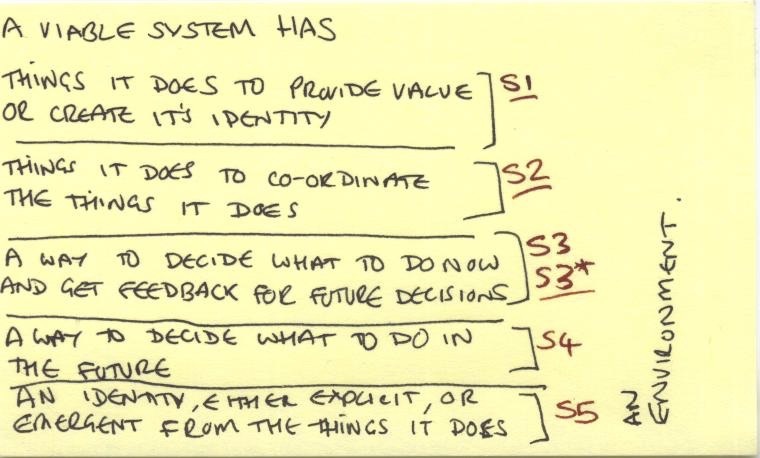 The Viable Systems Model is Ashby’s Law of Requisite Variety applied to organization design. So I’ll really be looking at Scrum at IT issues using Ashby Law of Requisite Variety. Rather than introducing the VSM academically (there are lots of academic papers that do that) I’ll use it to talk about Scrum, showing why the parts of Scrum work – and giving some general diagnostic advice when things are not working as expected. Before I start there are a few thing about the Viable Systems Model that I’ll point out. Firstly the model is recursive. Viable systems contain viable systems. So viable teams make up viable organisation units, that make up viable organizations. Viable organization need to exist in viable sectors of the economy or society. A system exists within its environment, and Scrum teams are no different. The other cool thing about the VSM is that the things we look for are at each recursion are exactly the same as every other recursion. This One Weird Trick makes the VSM easily applicable to lots of different organizations at different levels. The requirements are numbered System 1 to System 5, and there are purposeful communication channels between various parts of the system. There is also the systems environment that may have more than one element. These parts of a viable system are called System1 (S1) to System5 (S5) , shown in the diagram below. System S3 gets an extra S3*, just because. The VSM just says that the S1to S5 things need to exist. They can be done by the same person or separate people. Scrum, as described in the Scrum Guide is good example of a general way to organize to produce working software in complex situations. Analysis of a Scrum Team as a Viable System shows what each part of Scrum is doing, and shows where there are assumptions about the sort of problem you are solving that may cause issues, and areas where other skills and approaches may be required. A Scrum teams customers are the people whose needs are met by the software that team writes. This can either be a group outside of the organisation like a small mobile game dev company that releases code straight to paying customers, or a team whose output needs to be integrated with the output of other teams in the organisation to provide value. This is important, but the implications come later. The communication between the customer and the team is managed by the Product Owner or PO . The PO reduces the variety of requests coming from the customer, to something the team can cope with. In the other direction, the value from the team is increased by the Scrum Master, the Dev Team and the Product Owner putting together Sprint Goals that will meet needs in the best way. Of course the developers can talk directly to the customer, but this is in the context of delivering value that has already been discussed and agreed. 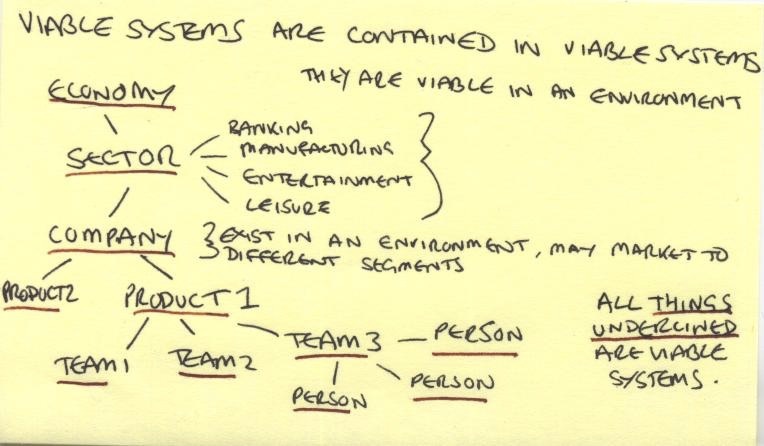 The parts of a Viable System that provide value to the customer/environment, is called the System 1. In a Scrum team there are 5 +/- 2 parts of this. The System 1’s need their output co-ordinating by a System 2. The output of the team may need integrating into the output of other teams. These may be financial, marketing, physical product production, legal, regulatory or other Scrum teams. 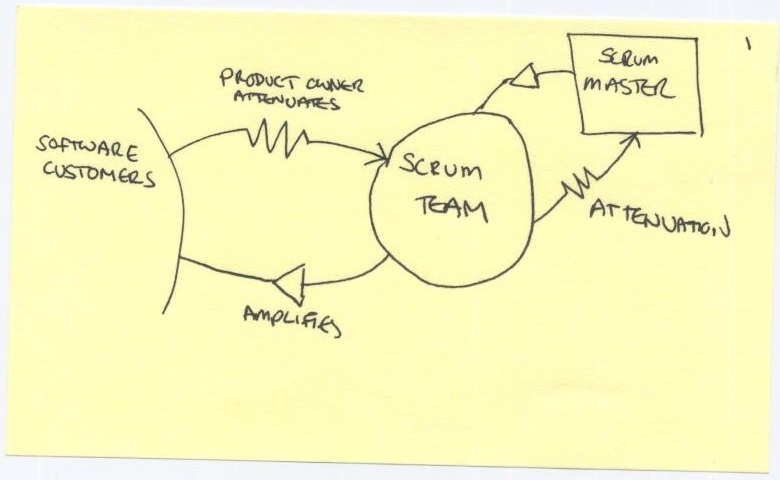 (oooh, maybe even other waterfall teams…) I’ll look at this with the VSM in another post, but for now, assume the Scrum Team provides value to the customer/environment directly. Co-ordinating system 1’s into a cohesive output is mainly the job of the Scrum Master. The SM makes sure that the daily standups, retrospecitves, and sprint planning all occur. The Scrum Masters job is also to remove any impediments to the team, reducing the variety of problems they need to deal with. The team is also expected to self organise to deliver the Sprint Goal. Scrum mandates daily standups where the SM creates a space where it is safe to make mistakes and learn. This skills required to do this are outside the scope of the Scrum guide, but are vital to a well functioning team. System 2 is S2 in the triangle in the following diagram. VSM requires an organisation to have a resource bargain, where resources (Like a factory, employees and raw materials) are converted into something of value. The bargain (ie 1 factory, 20 people, raw materials) needs to be converted into something useful in a particular timeframe (ie 500 products in a week). This is a performance agreement that needs to be agreed and monitored. Scrums is designed to work in more complex environments that factory, so the resource bargain is more complex. A Scrum team creates value with a team of developers, a Scrum Master, a product owner, IT resources and 2-4 weeks of time. This is a resource bargain with the organisation. The team is given resources in return for delivering value and meeting peoples needs. Because of the short sprint cycles, the resource bargain can be reassesed regularly to see if it is delivering what it promised. This is done at the sprint review, where the output of the sprint is delivered to customers. The VSM says that the System 1’s need a in depth audit – that is carried out at irregular times. The regular Scrum Review is the closest to this audit, although it is not irregular, and it does not bypass the PO and SM. This means certain organisation anti-patterns may not be detected. In VSM this audit is called System 3*. Done without care this audit can break trust, so leaving it out of any model of the organisation can be disastrous. This is where the whole of the the current operations are reviewed for effectiveness, so there is the output of all of the previous sprint goals, the current sprint goal, and future goals. There are decisions here made about the whole deliverable of value to the customer, including bug fixes, and any operational resources required. In VSM this is the System 3. In Scrum the team develops new features. Scrum covers a some of this, but the output of the team may be passed to an operations / devops team. A lot of this is out of scope of Scrum. A Devops team would need to be a Viable System, so could be designed and diagnosed with VSM. If the output of the Scrum team is integrated with the output of other teams to provide value, then the overall output will be assessed by it’s own System3. ie the performance of the whole product. The decision to continue developing the software, to stop developing software if progress is too slow, or it’s not providing value needs to be made. The team also needs to look ahead to see what the future may hold, and how the team will continue to be viable. The identity of the team is its purpose. A Scrum team would align to the values in the Agile Manifeto, and also to the Scrum Guide. Its purpose could be “meeting needs and delivering value using Scrum”. Agendashift says “We deliver <what> to >whom> so that <why it matters>”. The activities it does (S1s) affects its identity more than what the system says its identity is. So if the team isn’t doing Scrum it isn’t a Scrum team. A team can’t just call itself Agile and use the right words. It need to behave in a way congruent with the agile manifesto , and this behaviour is supported by referring to the identity in System 5. The identity of the team – the decision to use Scrum and be agile is owned both by the actions of the developers and people in the next System level up (if it exists), who have decided that Agile teams are required, and can integrate the work of the Scrum team into a product with value. In following posts I’ll look at the next recursion up and down from the Scrum, looking at a developer, and the next level up. If you’re a SM or PO I’d be interested in modelling those roles too, but I’d need an expert in these domains to do this properly. There are some in depth books by Stafford Beer and Patrick Hoverstadt covering the VSM. I’ve personally found the VSM resources on the web to be generally quite poor. Here are some good web resources. This entry was posted in Other Stuff on August 27, 2018 by make10louder. Systems thinking is daunting. There is a lot to learn, and there is always someone to cheerfully point out when you’ve missed a bit. I first saw this cartoon in 1992, and I cut it out and stuck it to a picture frame that followed me about for the next 15 years. It reminded me to make sure that I understood why I was choosing to do things and to look for other perspectives. It’s all about your purpose and seeing the big picture. Bill Watterson is a genius for making it simple and funny. Breaking the problem down into manageable chunks is a boundary decision. Hobbs sees it as classic reductionism and sets up the punchline, with Calvin is asking “Is this problem within the boundary of what I care about or not”. So he’s not solving the problem, but dissolving the problem by thinking about the bigger picture, from the perspective of a 6-year-old. Taking a problem that looks impossible and reimagining it from different perspectives, ideally so the impossible part goes away is a common systems thinking approach. Unlike Calvin, I spend most of my spare time reading entire chapters of books. 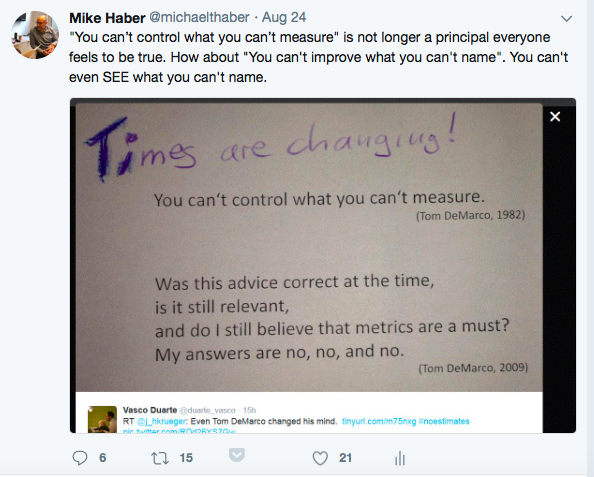 This entry was posted in Other Stuff and tagged big picture, Bill Watterson, books, calvin and hobbes, cartoons, purpose, systems thinking, the power of words on November 3, 2015 by make10louder.